I dread taking MJ to the doctor. It’s awful. She’s terrified and cries the entire time. She cries so loudly I can rarely hear what the doctor says. Not only is it a frustrating experience for me, and I’m sure for the doctor as well, it saddens me that she truly is terrified. 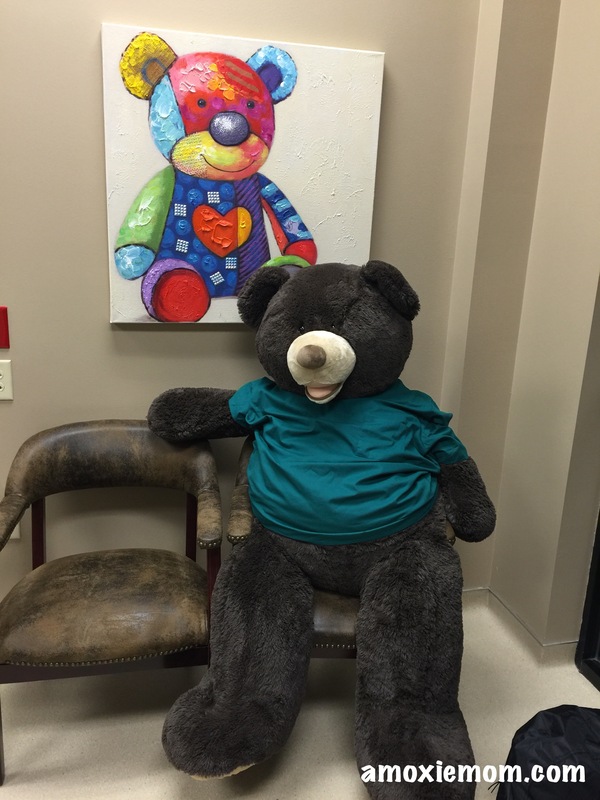 When I heard about the Teddy Bear Clinic at Express Emergency Room, I hoped it would be a pleasant experience that would help ease her fears. We registered online to attend the Teddy Bear Clinic, where MJ’s baby doll would be examined. When we arrived for our appointment we were immediately greeted by the friendly staff, who treated MJ’s baby doll like a real patient. We were handed a clipboard with a form on which to circle her baby’s current ailments. While waiting for the nurse, MJ played in the children’s area of the waiting room, an area with books and blocks and other toys, and a small table and comfortable chairs. Brand new, beautifully decorated, and state of the art, Express ER provided an inviting place to wait where Capri Suns and waters were available to patients. 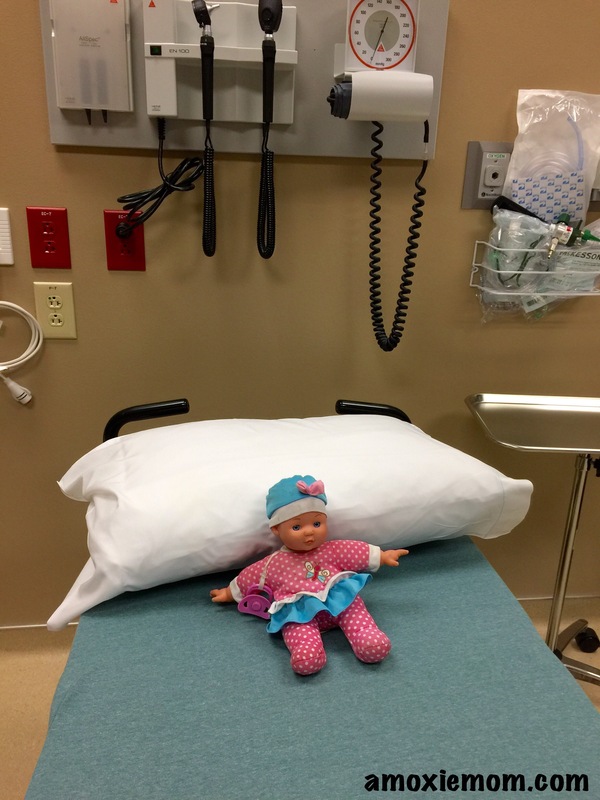 The nurse called Baby (MJ’s doll) to the examining room where MJ helped take her temperature, heart rate, and blood pressure. This room also had toys, books, a tv, and a huge teddy bear. 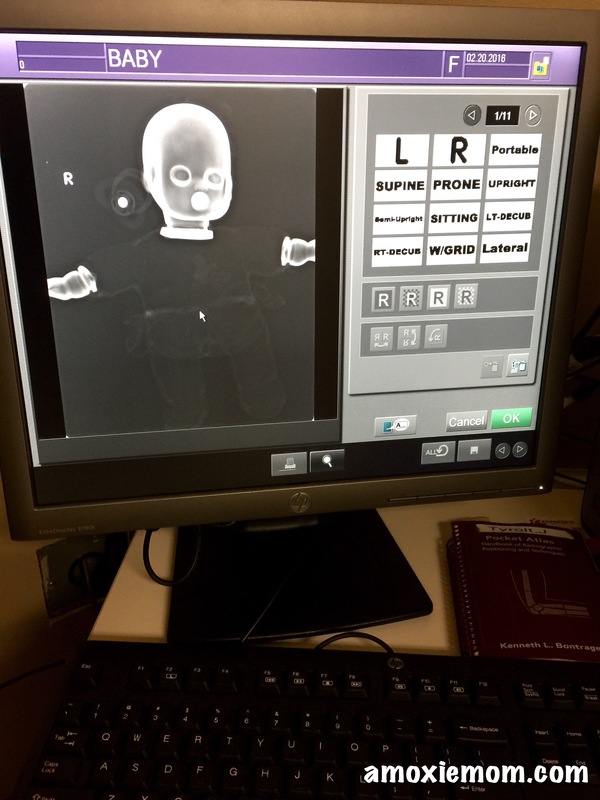 When the doctor entered he spoke kindly to MJ about her baby and then gave orders for an x-ray. 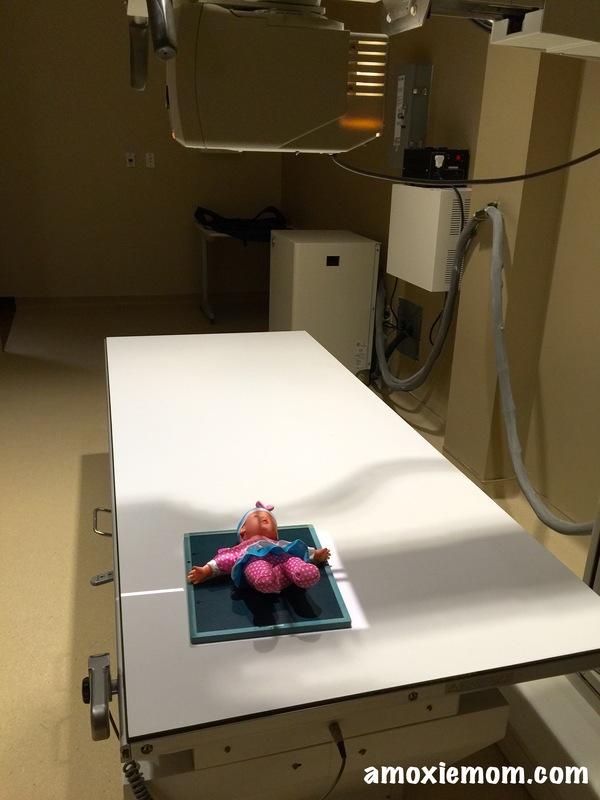 MJ followed the x-ray technician to the x-ray room and set Baby on the table. We had to step out of the room while an actual x-ray was performed. The doctor then showed us the x-ray and spoke with MJ about his diagnosis, a stomach ache. He wrote a prescription for medication (smarties), gave them to MJ, and walked us to the front desk. MJ even recieved cookies, a $5 McDonalds gift card and other goodies for taking her baby to the Teddy Bear Clinic. 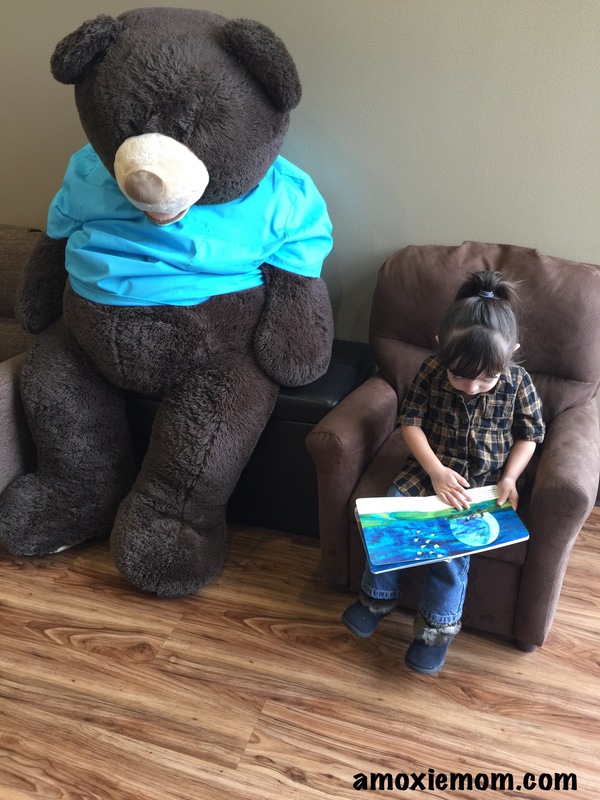 The Teddy Bear Clinic truly exceeded my expectations, and it was a comforting experience for MJ. I highly recommend it for any child who is fearful of doctors, doctor’s offices or hospitals. After our experience with the friendly staff and comfortable atmosphere, I would not hesitate visiting Express ER for my family’s medical needs. Express ER is located on the northeast side of San Antonio, at 15140 Nacogdoches. They are open 24/7 to offer emergency care yo both children and adults. They are currently offering tours of the clinic by appointment (you can make an appointment here) and are even treating tour guests to McDonald’s or Starbucks gift cards! *Disclaimer: This post was sponsored by Emergency ER but all opinions are honest and my own. 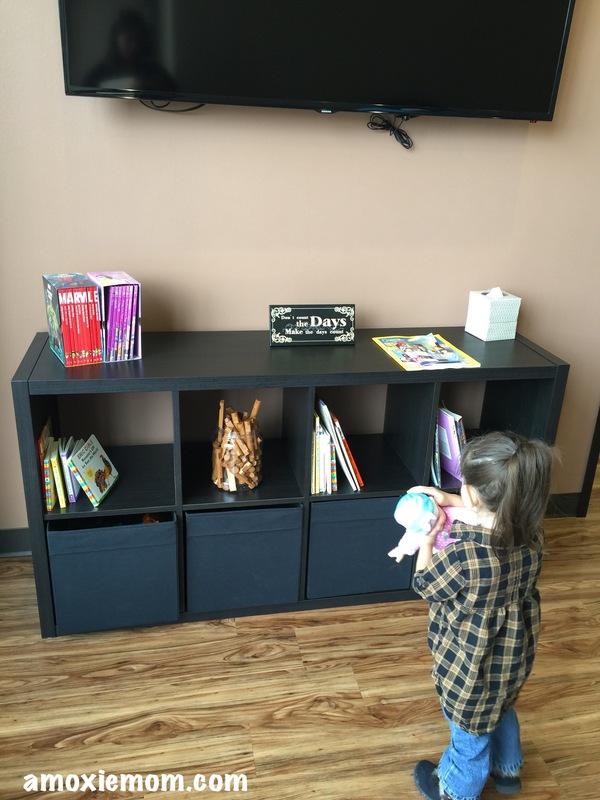 Nice way to put kids at ease with a doctor visit. Yes it is! Free, fun and beneficial!